We can’t thank you enough for helping out with the toy drive this year. We had a wonderful response to the request for toys to give out to the kids at our annual Christmas party. With toys coming from several different churches, it all added up to be enough to give away that night and, with the toys that were left, we were able to add toys to hampers for several LARGE needy families, and a bunch of kids staying at a group home. 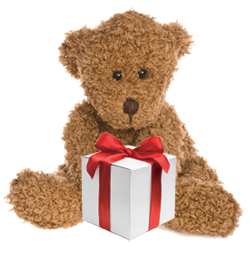 Your contribution made Christmas just a little bit happier for kids who often go without a lot of necessities. We saw a lot of joy on the faces of kids receiving their gifts, and on the faces of appreciative parents. The families who received the hampers this year were extremely grateful, and overjoyed that the kids would have something under the tree this year. May God bless you with the peace and joy of this year’s Christmas celebration.